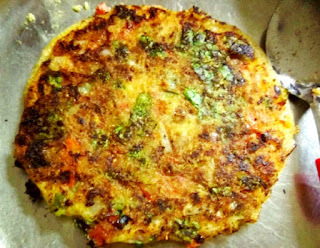 Uttapa ia s traditional south indian dish.They are great to serve for breakfast.It is a dosa like dish made by cooking ingredients in a batter.It is a thick pancake with toopings cooked right into the batter. Rinse and soak rice in water in a large bowl. In another bowl rinse and soak urad dal and methi seeds.Soak it for around 1hr. Now blend both of them separately using little water. Make it a smooth paste. Mix both batters and add salt to it.Now keep this batter covered overnight or atleast for 8 to 9 hours for fermentation. 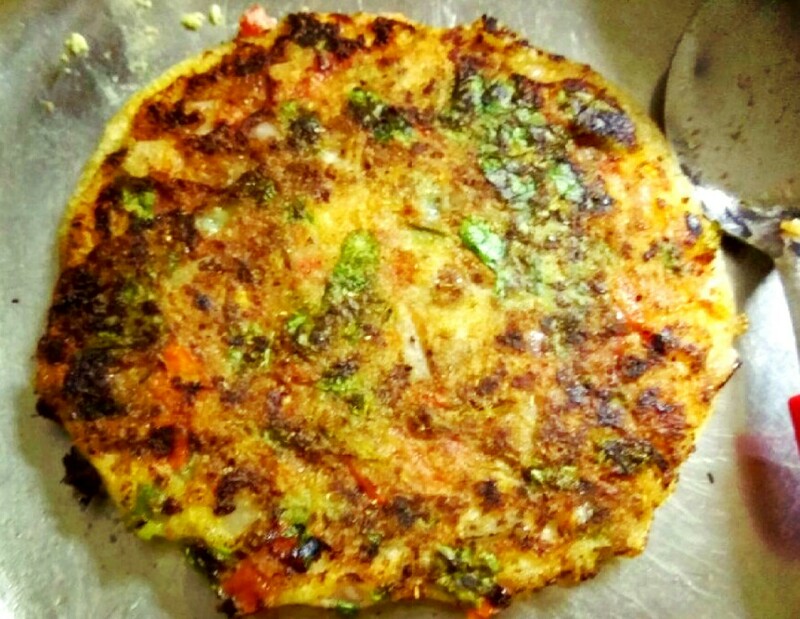 Now the fermentation process is over and the batter is ready and can be used for making uttapa. Finally chop the onion,tomato and chillies. Take a non stick pan and heat 1 tsp oil.When the pan is hot pour a ladle full of batter in the centre of pan and slowly spread it in circular motion.Make it little thick,donot spread too thin. Now quickly add some chopped vegetables on top and spread it lightly. Now let it cook on 1 side for about a minute and than slowly flip it.Let the veggies side cook for few minutes. Drizzle 1 tsp oil from sides. When the colour turns to golden brown,it is cooked. Serve yummy uttapas with coconut chutney or sambhar.